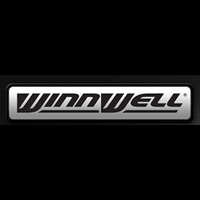 ONE OF THE OLDEST COMPANIES IN HOCKEY, WINNWELL IS BACK, MAKING INNOVATIVE MOVES ON THE ICE AGAIN. Winnwell was originally incorporated as Wellinger Limited. The company name was changed to Wellinger & Dunn in the 1950s and finally to Winnwell Sporting Goods Limited in 1976. Winnwell was sold to Cooper Canada in 1978. At the time, Cooper was the largest manufacturer of hockey equipment in the world. In 1980 the Winnwell trademark was acquired by Irwin Toys Limited. Following Irwin Toy's bankruptcy in 2002, the Winnwell trademark was purchased by Brimatin Holdings, Inc., which retains ownership today. See our our selection of Winnwell Ice Hockey Pants.